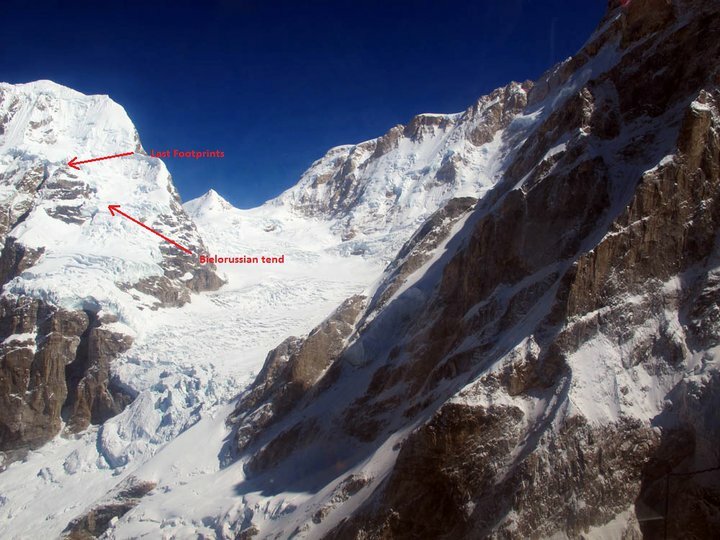 Two experienced climbers from Belorussia are lost in Nepal while ascending unclimbed peak Tulagi (7059 m), located in area of peaks Manaslu (8163 m). Helicopter is also assisting but weather conditions and other rescue operations in area do not allow to use it often. 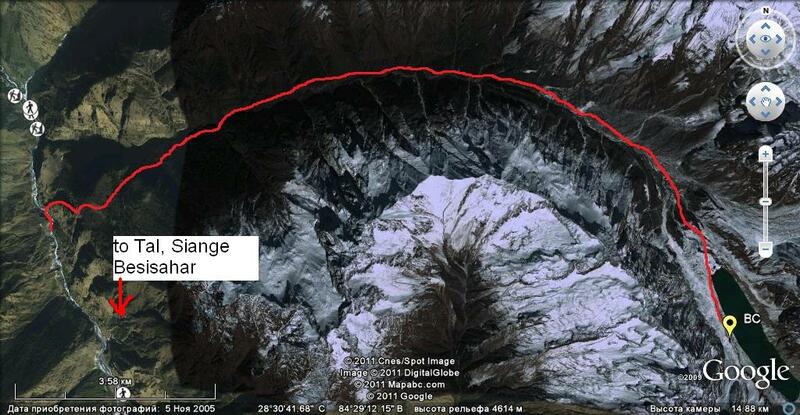 Peak Tulagi (7059 m) is in Nepal, in area of Manaslu (8163 m). 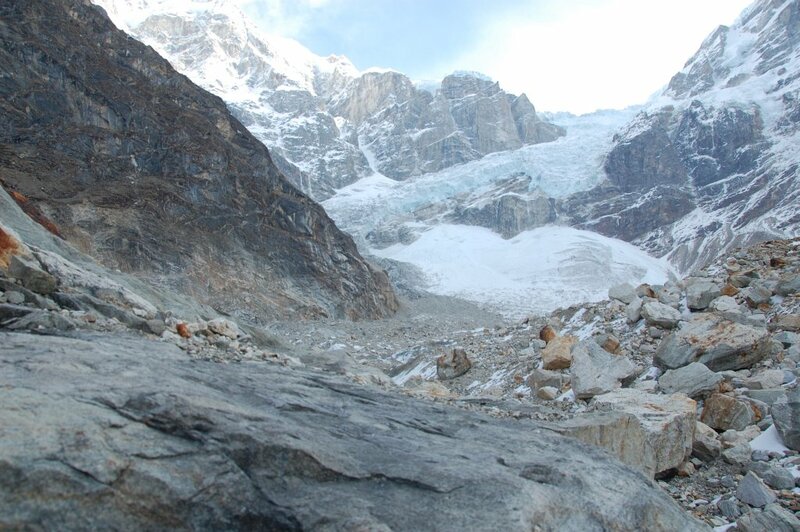 Tulagi remains unclimbed so far. 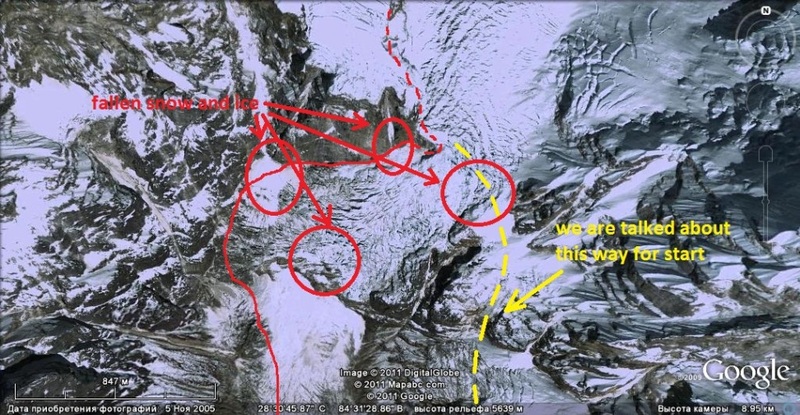 The route - initially it was planned to climb via South ridge, from plateau between summits Tulagi, Manaslu and Nadi Chuli (Peak 29) but later the team has changed their plans - as shown on photos below. The team: - Nikolai Bandalet и Sergei Belous (both from Minsk. Belorussia). Alexey (fede@tut.by) coordinates search from Belorussia. The duo are using radio 441.675 kHz and a sattelite phone. 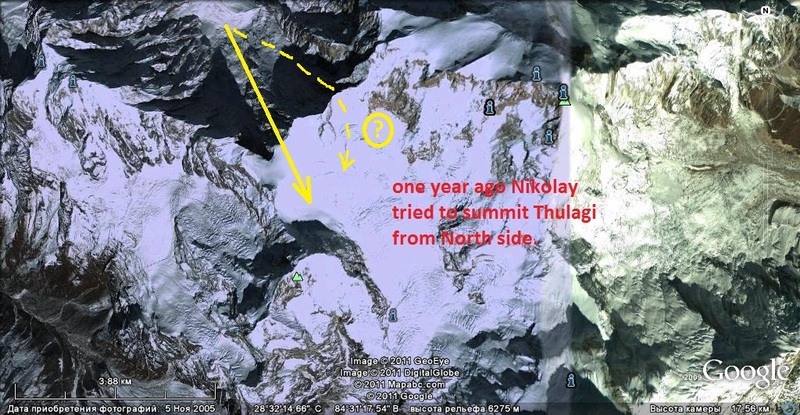 The last radio with Nikolai and Sergei was at 15:45 local time on 08 May 2011, when they were approx. 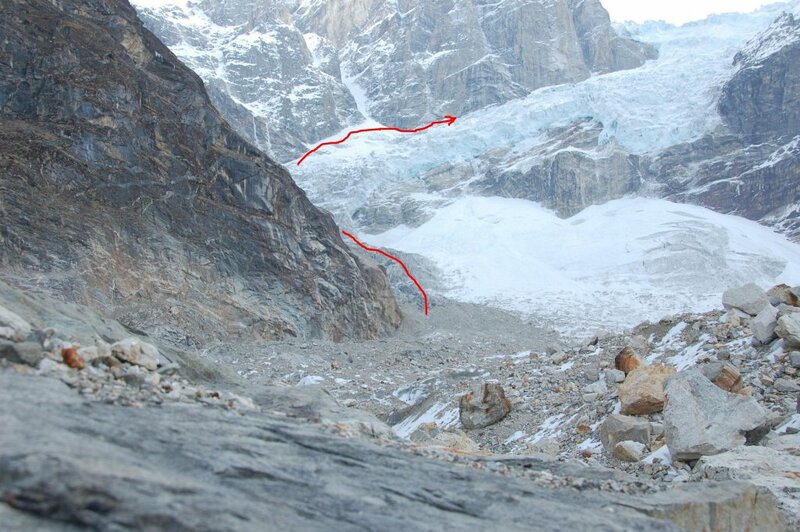 2 pitches below the summit. The previous night they spent on a ridge without a tent. The duo was ascending. They have reported that the ridge was full of unreliable snow. Scince then we have no information about Nikolai and Sergei. Rescue is co-ordinated in Nepal via Lakhie Pandey from company Basil Travel, and helicopter rescue team is provided by Fishtail Air. There are also several volunteers involved to organize this. 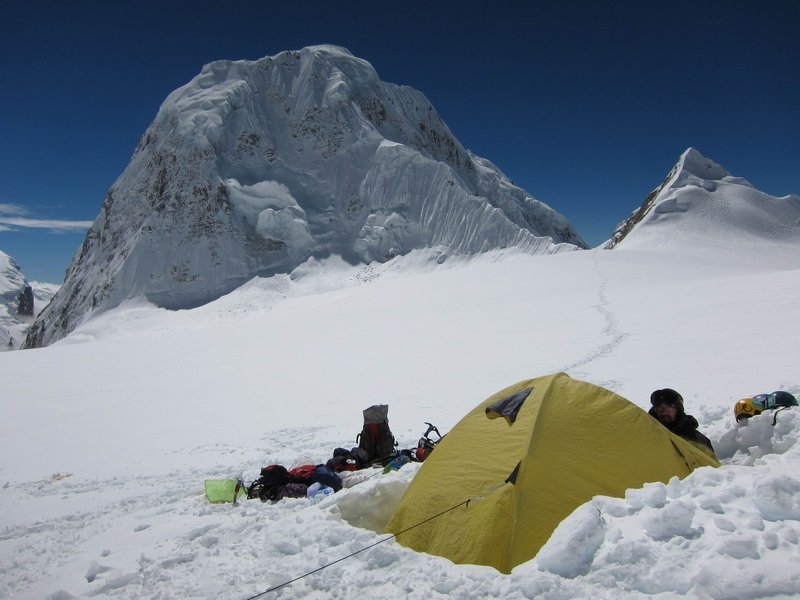 Helicopter was involved on 13-th and 14-th of May, and also operated on 15 May, finding their empty tent at 6400 m. The search operation is assisted by Simone Moro. Weather conditions are ustable and do not allow to get closer and see details from air, nor to land close to potential site. 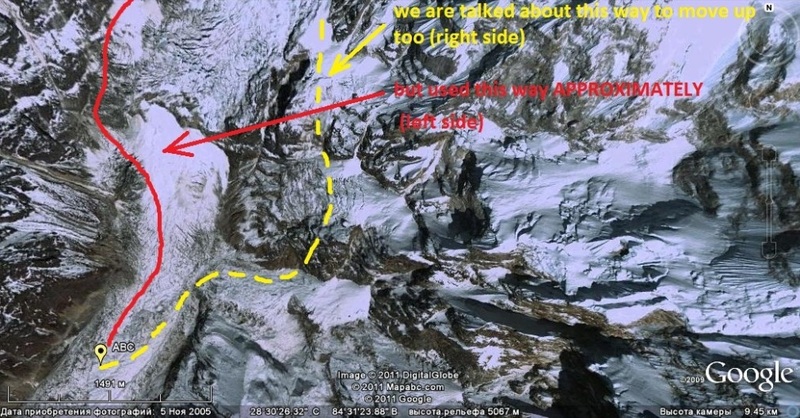 Fresh photo from Simone Moro showing location of the tent at 6400 m and human traces higher on the ridge. 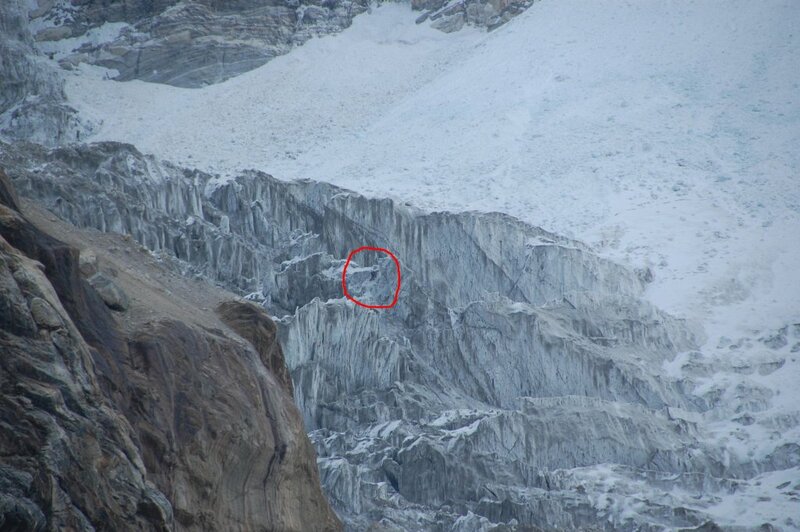 Photos that are shown below are also being used by helicopter crew. From Trek to Tulagi BC. Way from Tulagi BC to ABC. 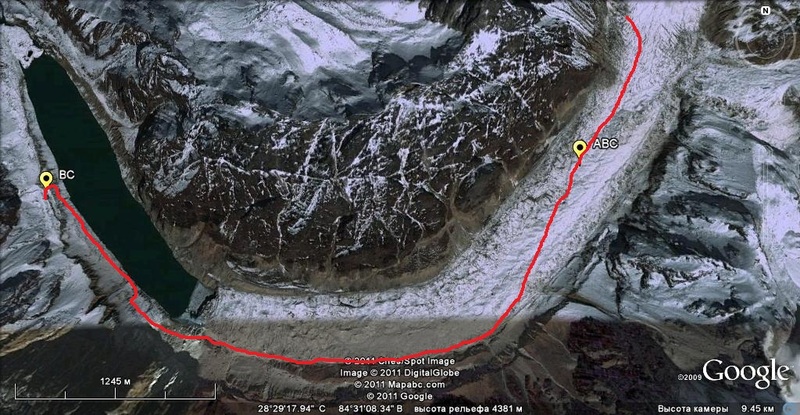 Approach from ABC to the route - planned (yellow) and the most possible (red). The route - planned (yellow) and the most possible (red). 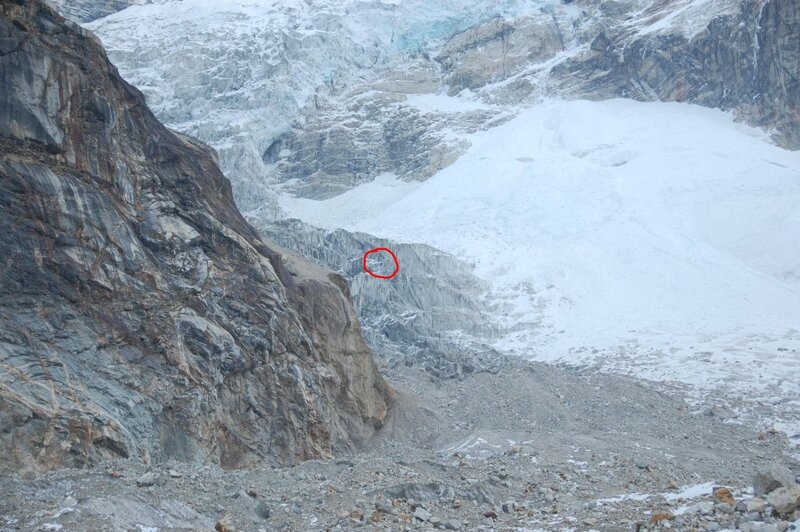 Possible avalanche cones and icefalls are marked. Tulagi, expedition in Sep 2010. Attempt from the North.